Martial Arts Demonstration - Hong-Jun Guan, 33, a native of Peking and now a resident of Ann Arbor, visited Greenhills School Tuesday to demonstrate the martial arts to students. 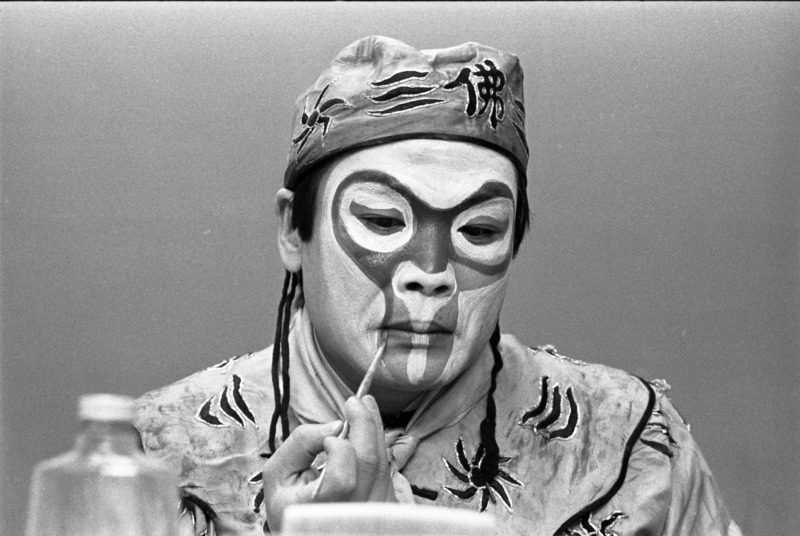 A performer with the Beijing Opera for 15 years, Hong-Jun Guan specialized in the martial arts, an integral part of Chinese opera. He attended the Beijing Performing Arts School from the ages of 10 to 18. Married to Michele Ehlers, he is now teaching martial arts and studying English here. In the photos above he applies the traditional facial makeup required for his role and demonstrates classic martial arts poses.